In this edition of Weekend Watch, we’re taking a look at the origins, evolution, and development of Alita: Battle Angel. We’ll start off with an exploration of the history and evolution of the source material, as well as some surprising facts about the movie. Additionally, two of the videos detail the film’s development, and there’s also a great video essay that explains why Alita is an important character. Up first, JLS Comics does a pretty good job of summing up the history and evolution of the source material, which is confusingly titled Battle Angel: Alita (a.k.a. Gunnm). The video give us a quick look at the nearly twenty-year development cycle for the upcoming film. It also looks into the origins of Yukito Kishiro’s source material. Robert Rodriguez’s film will be an adaptation of the first few books in the series. However, this video also gives a good rundown of how all the elements in Battle Angel: Alita – as well as its anime OVA counterpart – might make their way into the film adaptation. This hilariously titled video from IGN takes a look at the changes that have been made for the film adaptation. Although it’s a bit older, it also does a great of of simplifying things, The film largely keeps the overall the story intact, there are a few minor character changes that the video astutely points out. Ultimately, this is a great rundown of the characters in the film. It even withholds major spoilers. Next, we have an interesting video from Top 10 Nerd that delves into some of the more surprising facts about Alita: Battle Angel. The video also explains the film’s name change, which is probably more hilarious than it has any right to be. We also learn about the inception of Alita’s name, what her greatest phobia is (which may or may not make it into the film), as well as how the adaptation’s toned-down PG-13 rating might affect proclivity to the source material. 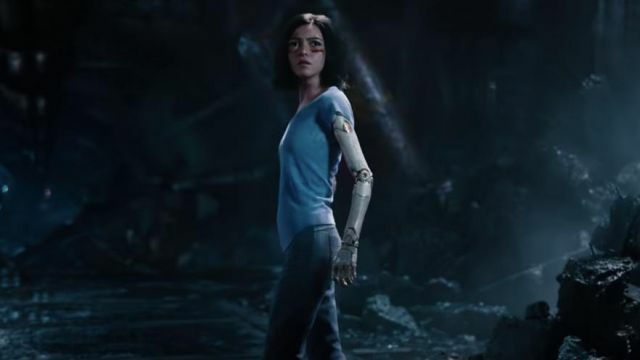 IGN took an extended look at the history of Alita: Battle Angel. The first video quickly chronicles the film’s development cycle, which was ironically spurred by Guillermo del Toro. James Cameron eventually got the rights to the project back in the year 2000. However, his work on Avatar delayed the movie for over a decade. That’s where Robert Rodriguez came into the picture, Cameron decided to produce as a result and the rest is history. The next video takes a look at how the production of Avatar informed the way that Alita: Battle Angel was made. Alita used the native 3D “Fusion Camera System” that Cameron developed for Avatar. But it’s actually the facial performance capture technology that really really made the film possible. Finally, we have a cool video from the oddly named Nick on Planet Ripple. This video essay breaks down what makes Battle Angel: Alita such a universal story. It also touches upon Hollywood’s unsuccessful manga adaptations. Additionally, this video addresses the controversy over the so-called “Manga Eyes” that are faithfully recreated in the film. It also showcases why Alita remains such an enduring character nearly thirty years after her creation. Are you excited for the cinematic adaptation of Alita: Battle Angel? Make sure to let us know in the comment section below!